Robotics brings together atoms and bits – the physical world and computational world. This merging of worlds is relevant to each of us, including young children who grow up surrounded by technology like automatic faucets and doors, their parents’ smartphones, and a never-ending range of screens. Technology has become pervasive and this has driven the ‘coding is the new literacy’ movement. It’s vital that children embrace technology and have an understanding of how it is created, controlled and its role in our lives. Just as they should learn to read and write. They should also learn that technology is fun and that it’s a human creation: we control it. That’s where robotics comes in. When given the proper tools, children as young as four years old can learn programming, logic and engineering. 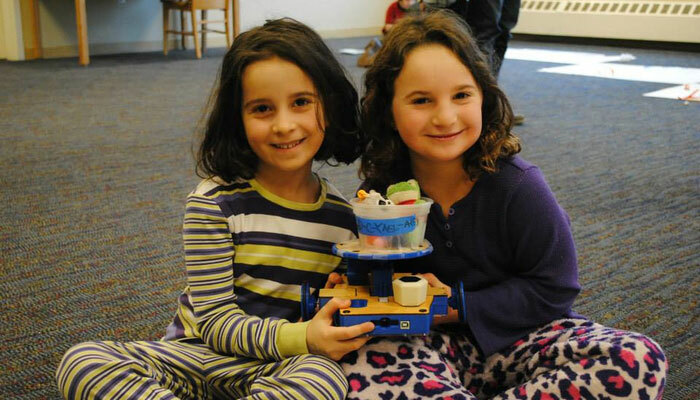 Developmentally-appropriate toys, such as our KIBO robot kit, encourage open-ended play and integrate technology with existing core curricula including arts, math and literature. Children of all genders feel comfortable playing with KIBO, which is important as stereotypes are formed at very early stages. In short, young children learn by doing and robotics presents a simple and age-appropriate way to make, test and learn new things. Got questions about robotics and early childhood education? Get in touch today. If you want to find out more about how to introduce KIBO in your K-2 classroom, register for our in-person training and build your curriculum with us.